$100 off your Used bike is just a click away. Submit your info and we will reach out to you about this offer today! I have an 01 Road King EFI. Seemed as though the coil went bad, called a few different dealers asking for a new coil. Out of 4-5 dealers Riverside Harley was the only one that had one in stock. Ended up talking with Josh in parts. Turned out it wasn't the coil that was the issue. I called back and talked with Josh a bit and he actually took the time to run back and talk to a few of the techs there about my issue. Ended up getting the problem with the bike sorted. Thanks!!!!!! Went for the riders course and boy do they have alot. Decades of selling motorcycles to happy customers has only reinforced the Veracka family’s love and passion for Harley-Davidson. During that time, brothers Michael and Paul and their father, Dave, have made it their purpose to share their excitement throughout the country, which is why they came to Riverside, CA. Since taking over Riverside Harley-Davidson, the Veracka family has helped solidify the reputation of this well-known dealer, bringing new ideas, the largest inventory of new and pre-owned Harley-Davidson models in California, and a highly trained service department that can skillfully, efficiently, and affordably take care of all your maintenance, repair, and parts needs. All of this has helped us to achieve some top industry accolades, including Bar & Shield Honor Awards in 2014, 2015, 2016 and 2017, as well as Power 50 Dealer designation in 2015, 2016 including the “Best in Class – Best Place to Work” distinction in 2016. We know that being a great Harley-Davidson dealer doesn’t just stop with 500+ models in stock and a qualified Harley-Davidson service team. 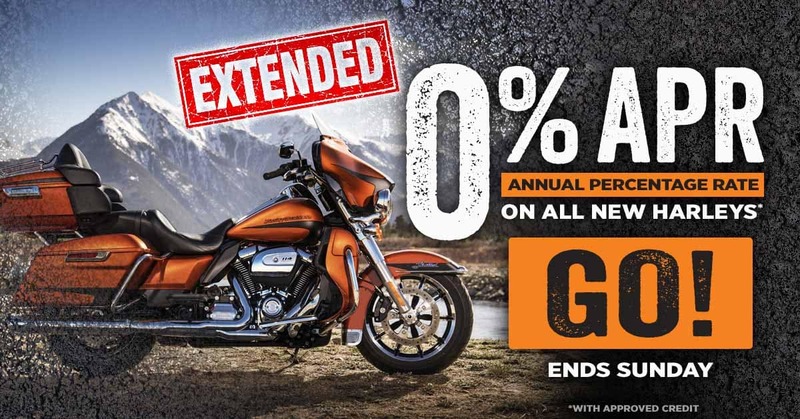 That’s why we’re also happy to sell all the Harley-Davidson gear you could ask for. If that’s not enough, we also sponsor and host over 100 Harley-Davidson events throughout the year, giving the entire Riverside community the opportunity to share their passion for Harley-Davidson motorcycles in a fun, family-friendly environment. Make your way to Riverside Harley-Davidson today at 7688 Indiana Avenue in Riverside, CA to experience everything we have to offer!